Pakistan was facing the risk of being grey-listed by the Asia/Pacific Group too as Islamabad has a high non-compliant rate of nearly 70 per cent on 40 recommendations against money laundering and terrorist financing, a media report said on Tuesday. The Paris-based Financial Action Task Force (FATF) has already grey-listed Pakistan from June 2018 and any adverse findings by the Asia/Pacific Group on Money Laundering (APG) could further complicate problems for the Pakistan government, The Express Tribune reported. A delegation of experts from the APG arrived here on Monday to review whether Pakistan has made enough progress on global standards against financial crimes to warrant its exclusion from the Sydney-based watchdog's grey list. Pakistan is already under intense international pressure to rein in terror groups like the Jaish-e-Mohammed (JeM) after the Pulwama terror attack. As the APG begins mutual evaluation to gauge Pakistan's compliance with global anti-money laundering and counter-terrorism financing standards, the country faces the risk of being grey-listed by the APG due to a very high ratio of nearly 70 per cent non-compliance, the report said. The APG is the FATF-style regional body for the Asia-Pacific region. It is an inter-governmental organisation founded in 1997. The mutual evaluation process by the APG is separate from the FATF but it is based on the implementation of 40 FATF recommendations, the report said. The APG delegation currently in Islamabad will conduct last on-site mutual evaluation of Pakistan that began in June 2018. It will be last face-to-face meeting by the mutual evaluation team, suggesting that Islamabad does not have the luxury to take a lenient approach, the report said. The APG has done Pakistan's second mutual evaluation in the past ten years. The last mutual evaluation took place in 2009. The mutual evaluation would be based on a third draft of technical compliance annexure that the APG shared with Pakistan this month. There is not much difference between the first and the latest draft technical annexure, a senior Finance Ministry official who has seen the report told the newspaper. The APG Executive Secretary Gordon Hook is leading the delegation that is comprised of experts from the UK, the US, Turkey, China, Indonesia and the Maldives. "If we go by the third draft of technical annexure shared by the APG, there are high risks of being declared non-compliant," said a senior government official who is directly working on the mutual evaluation told the newspaper. Out of the 40 recommendations, the APG has provisionally assessed Pakistan non-compliant on nearly 28 recommendations, he added. He said Pakistan has to be fully compliant or largely compliant with at least 23 recommendations to avoid the grey list. Pakistan is already on the grey list of the FATF and even if it successfully implemented all the 27 actions determined by the FATF, its fate will hinge on the mutual evaluation report outcome, the report said. It has also been conveyed to Finance Minister Asad Umar that the situation could worsen for Pakistan if it did not improve ranking on at least 8 to 10 recommendations, said another official who works for a counter-terrorism authority. Officials said all the stakeholders were not on the same page, which not only created difficulties during the October 2018 on-site inspection but might also create problems this time. Out of the 40 recommendations, Pakistan is fully compliant with hardly two, largely compliant with three and partially to largely compliant with another three. It is either partially compliant or non-compliant with the rest of the recommendations, the report said. But Pakistani authorities believe that they have addressed the APG's concerns in areas of customer due diligence, beneficial ownerships of legal persons, statistics, record keeping, money or value transfer services, new technologies, wire transfers, international cooperation, nuclear non-proliferation and targeted financial sanctions related to terrorism and terrorism financing, the report said. After the current visit, the APG would finalise its draft report that is expected to be shared with Pakistan by the end of April or early May for its comments. After obtaining Pakistan's response, the Mutual Evaluation Report will be presented in the Annual General Meeting of the APG that is likely to take place in August. The APG meeting would either accept the report or suggest changes to it, the report said. In case of the worst outcome, Pakistan may have to implement yet another Action Plan from October onwards. The FATF's Action Plan implementation deadline is September this year. The review on the implementation of the FATF Action Plan held in February did not go well, which has increased pressure on Pakistan, the report said. 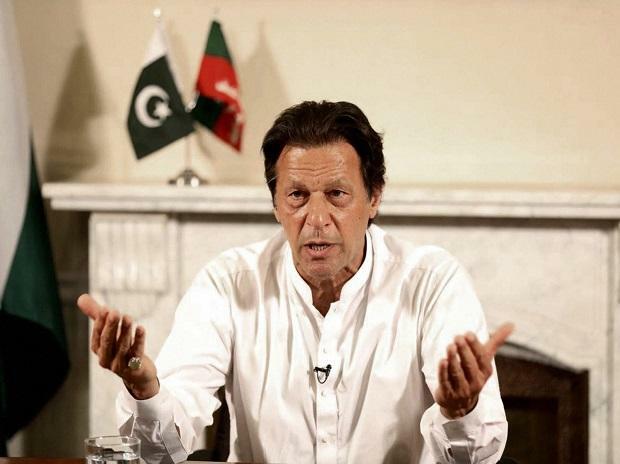 The next FATF review would take place in June in Washington and before that Pakistan will have to show compliance on 16 points that have been agreed for May in addition to three issues that were left out in the last review, the report added.